Of all the fruit varieties that you can plant in your home garden, strawberries provide the most return for the least effort. Strawberry plants can be easily started in the home garden, require minimum space to grow and provide large yields a year after being planted. 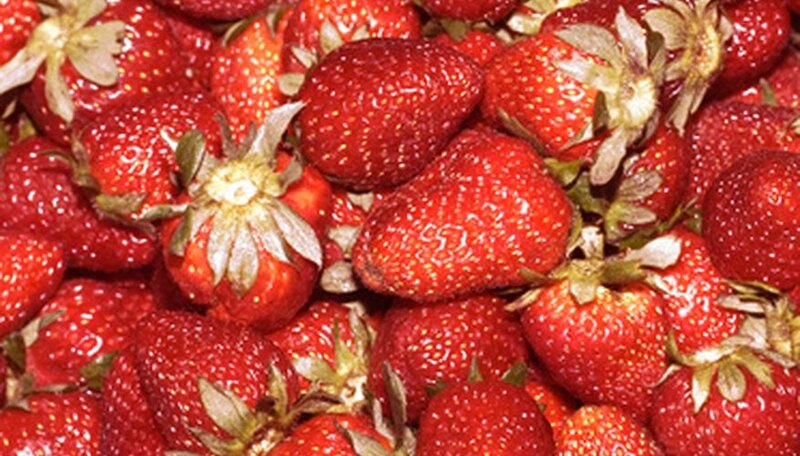 One of the more popular varieties of strawberries to plant are the Ozark beauty variety. Ozark beauty is an ever-bearing variety that produces crops in the early summer and the fall. Test your soil’s pH with a home testing kit six months before planting by placing soil from your berry bed in the testing compartment. Fill the testing chamber with the liquid that comes with the test. When the liquid changes color, compare it with the color chart that comes with the test. Adjust the soil of your strawberry beds for growing Ozark beauty strawberries by mixing dolomitic lime or powdered sulfur to the bed up to change the pH. Dolomitic lime will raise the pH, while sulfur will lower it. Ozark beauty strawberries like a pH that ranges from 5.5 to 6.5. To mix soil amendments into a berry bed, spread the amendments over the top of the soil. Then mix them to a depth of 6 inches with a rototiller. Trim older leaves from strawberry plants with garden shears. Soak the roots of plants for one hour. Dig a planting hole with a garden trowel just deep enough that the crown of the plant is level with the surface of the soil. Place the strawberry’s root ball in the planting hole. Cover with soil. Space the strawberry plants 1 foot apart in rows that are 1 foot apart. Dissolve 2 tbsp. of a balanced (10-10-10) fertilizer in 1 gallon of water. Apply 1 cup to each plant to help establish the plants. For a more accurate soil test, send a soil sample to your state land grant college's soil testing facility. Find information on sending soil in for a test by checking with your county extension service, or on the website for your land grant college's extension service. Never try to change the pH of soil more than one pH per year. Doing so can harm plants.